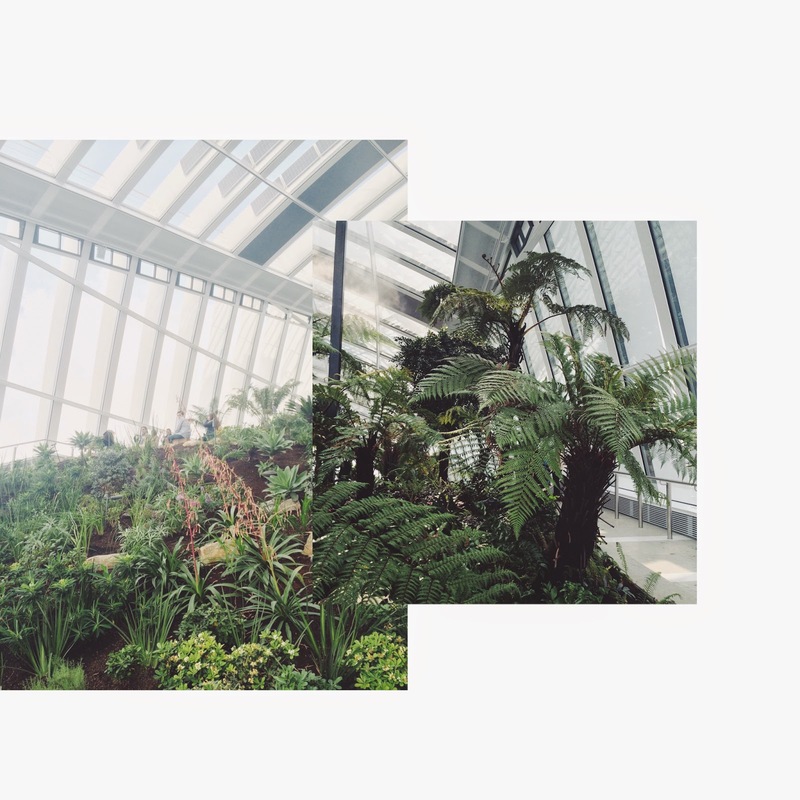 Yesterday, I visited Sky Garden for the first time, It is the highest garden in central London, located in the walkie talkie building at number 20, Fenchurch Street. The space is light and airy with lush green foliage at the centre of the room. Exceptional views across the city can be witnessed from the open air balcony with many a London landmark within close proximity to the garden. In addition to the luscious ferns and palm trees that line the walkways, there is a bar and restaurant where you can take in the views whilst sipping on a cocktail or two. Of course I chose a margarita although strangely, it wasn't one of the cocktails listed on the menu. Whilst service was painfully slow, the drink was strong and the views were extraordinary. There are far worse ways to spend a Wednesday afternoon.